The wide-spaced 'A.D.' is what distiguishes CH-1 from CH-5 (wider). Frankly, I am of the opinion that these should be listed as an American token (they are in the Red Book). It is not at all clear that these were ever intended for use in Liberia. The history of the token is still shrouded in mystery. 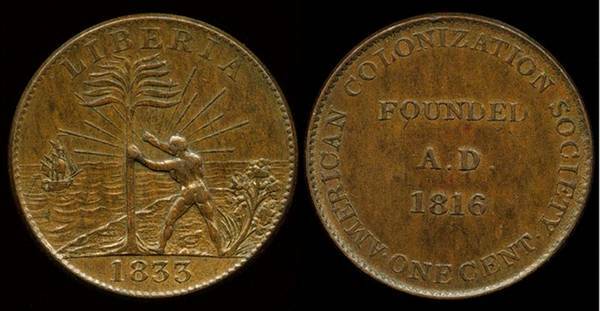 While it is widely believed to have been struck as a fund raising piece by John Gibbs of Belleville, NJ, there are those who believe these are from the US mint (circumstantial evidence abounds). Please keep watch for an important monograph (by R.S.) on these in our Library.